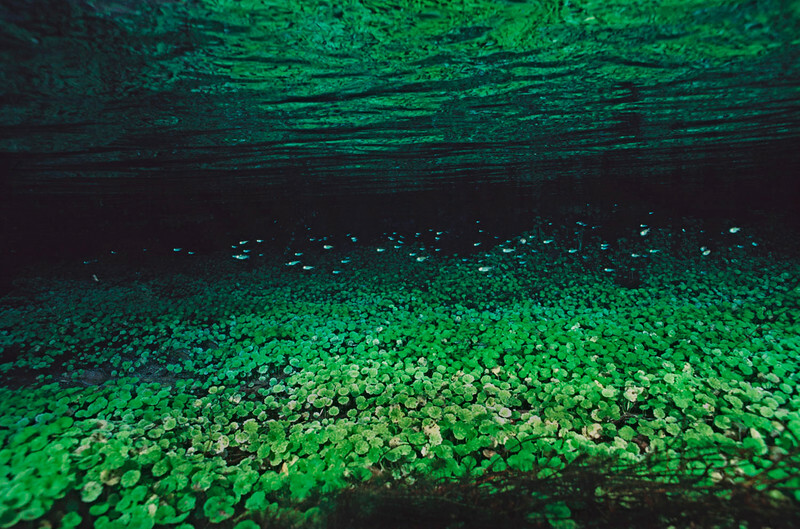 Underwater images of the crystal clear freshwater streams of Bonito, located in the midwest of Brazil. Imagens subaquáticas da bela natureza dos transparentes rios da região de Bonito no centro-oeste brasileiro. Vegetation refletion in the water surface, Rio Sucuri, Bonito, Brazil Underwater images from Bonito and rivers of midwest Brazil. Imagens subaquáticas de Bonito na região centro-oeste do Brasil.